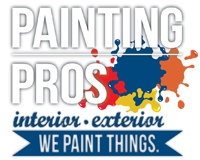 Painting Pro’s offers a wide selection of finishes to choose from, from decorative painting to faux finishes. With such a wide variety to consider, the experts at Painting Pro’s are here to help you create the perfect finish for your home. Interior Design plays a vital role in the ambiance of your home and is created through elegant, rich, romantic or even subtle hand painted decorative wall finishes. Painting Pro’s can help you bring out the very best in the character of your home. Whether for your own pleasure or entertainment purposes, we can create the elegance your home deserves. Let Painting Pro’s take your walls from white to wonderful! Painting Pro’s has finishes for m any different surfaces. We can create the most elegant painted wall finishes or create intimate ceiling finishes for any room in your home. Our finishes can make columns in your home resemble real marble or old stone. We can give your kitchen or powder room cabinets a whole new look by antiquing, crackling, and aging, or many other authentic processes. We also do creative finishes on crown molding or specialty architectural pieces such as fireplaces, mantels, furniture, and accessories. Maybe even create that Italian feel in your wine cellar or paint a cement floor to resemble detailed inlaid patterns. We also offer custom murals and trompe l’oeil painting. It is only limited to your imagination!